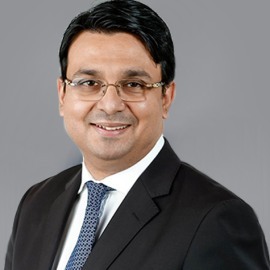 Fawad has more than 18 years’ experience in various leadership roles in the UK and Middle East and has a very wide network of connections with government, quasi-government financial institutions and global private equity houses. He specialises in structuring fixed-income, equity and hybrid products, and has experience in forming strategic alliances with international fund managers. He has been involved in various high-profile transactions, including sovereign bonds and public listings, and managing co-investments programmes for Middle-East and African-based clients and start-ups. Fawad formerly worked for Credit Suisse, ABN Amro, and VTB Capital. He has been part of the management and advisory boards of many companies and is actively involved in social and philanthropic work.